Steven Spielberg's long-gestating drama about the 16th president opens with an atrocious scene in which weary Union soldiers, both white and black, recite the Gettysburg Address for their visiting commander in chief. 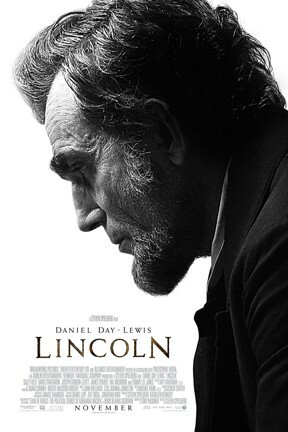 Miraculously, this sentimental drivel is followed by an admirably clear-eyed account of Lincoln's last three months, focusing on the high ideals and low political gamesmanship that enabled him to pass the Thirteenth Amendment through Congress and end slavery in the U.S. Daniel Day-Lewis is extraordinary as the president, capturing his wit and generosity but also the iron will that made him the country's greatest hero, and Spielberg has recruited a who's who of character actors (David Strathairn, Hal Holbrook, Tommy Lee Jones, John Hawkes, Jackie Earle Haley, Bruce McGill, Tim Blake Nelson, Jared Harris) to embody the various political forces swirling around the White House as the Civil War nears its bloody conclusion. 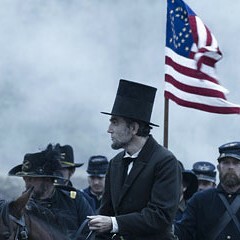 5 Things to Know About "Lincoln"
Lincoln and Lincoln are not showing in any theaters in the area.